由聯合國Working Group on Internet Governance(WGIG)編寫的互聯網規管報告書出爐了, 這個工作小組從2004年開始召開了四次小組會議討論互聯網規管的定義, 涉及的領域, 可行的介入等. 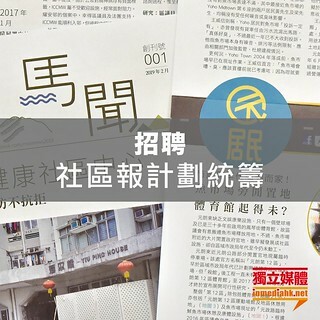 值得注意的是, 報告書強調網絡規管要由政府, 公司和民間社會三方參與發展而成的, 換句說, 網絡規管要充份資諮, 不能由政府單方提出和執行. 1. 互聯網的基礎建設, 包括 administration of the domain name system and Internet protocol addresses (IP addresses), administration of the root server system, technical standards, peering and interconnection, telecommunications infrastructure, multilingualization. 目前大部份的工作由美國非政府機構 ICANN統籌. 2. 互聯網的應用, 包括垃圾郵件, 罪案, 黑客等問題. 3. 涉及互聯網以外的問題, 如知識產權, 貿易, 言論自由, 消費者權益等. • Awareness-raising and capacity-building (knowledge, training, skills sharing). • Promoting various public interest objectives. • Mobilizing citizens in democratic processes. • Bringing perspectives of marginalized groups, including, for example, excluded communities and grass-roots activists. • Engaging in policy processes. • Contributing expertise, skills, experience and knowledge in a range of ICT policy areas. • Contributing to policy processes and policies that are more bottom-up, peoplecentred and inclusive. • Research and development of technologies and standards. • Development and dissemination of best practices. • Helping to ensure that political and market forces are accountable to the needs of all members of society. • Encouraging social responsibility and good governance practice. • Advocating for the development of social projects and activities that are critical but may not be “fashionable” or profitable. • Contributing to shaping visions of human-centred information societies based on human rights, sustainable development, social justice and empowerment. b. 透過ICANN既有的Governmental Advisory Committee (GAC)機制, 發揮顧問的功能. c. 成立International Internet Council (IIC)取代美國政府與ICANN建立合作關係. d. 建立另一套互聯網規管的組織架構: 成立The Global Internet Policy Council (GIPC)製定互聯網政策; 成立World Internet Corporation for Assigned Names and Numbers (WICANN) competencies與ICANN平衡運作, 成立The Global Internet Governance Forum (GIGF) 促進各國政府, 私人領域和民間社會的對話.